Девочка, которая мечтала жить на острове. Часть 2. Часть 3. Дорога к небесам. Looking for a morning coffee in Kona… Kona is a coffee town, isn’t it? But I couldn’t find my coffee there. Green Flash – yucky, Lava Java – watery. Seems I stop to drink any coffee with milk in Kona. Well damn, if its hot and has a coffee flavor, let it be. We are sitting in the center of Kona, having breakfast with a sea view with Ali Drive by one hand and the ocean by another. I believe I start to understand why Americans shocked about European, especially Italian coffee. First thing might be, where is my coffee and what is that thimble about? But trying that deep thick aroma you can’t stay indifferent. There are good coffee shops in USA also but mostly they look like an insider’s shops, garages or small rooms whereas you get such a good coffee even in a gas station in Italy. Food theme in USA is very strange to me and I have much more to say about it. Probably, I’ll get back to the theme later. 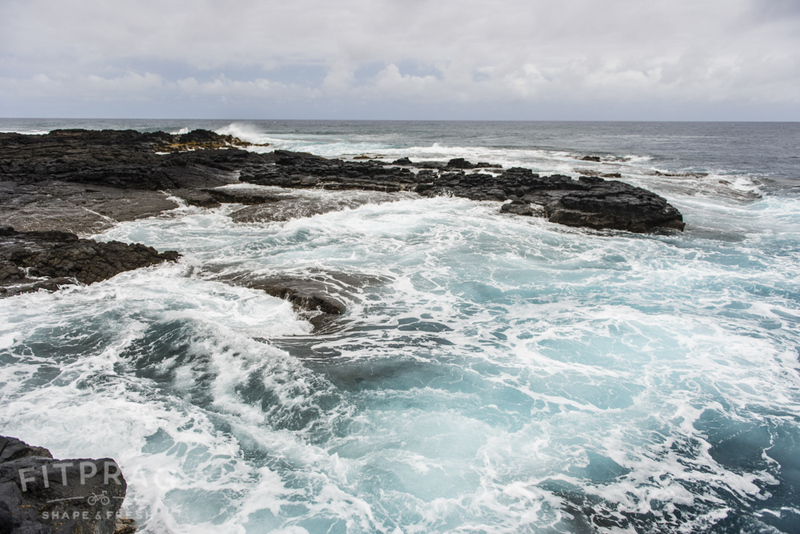 We drive to the South point and Green Sand beach today. Calm nice road is ahead. South Point is the southern point of the USA (really, its not Key West) and a national historic landmark.You can spot a wind farm close to the point. I made a small video about the trip. It does feel as the end of the Earth, even thou that wind you can feel a vitality of nature’s power. 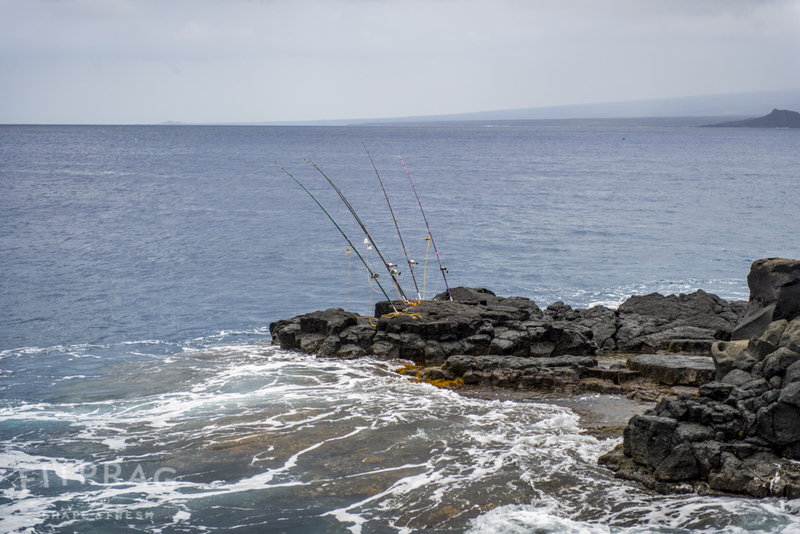 By the way the point is one of Hawaii’s most popular and bountiful fishing place. You definitely meet a lot of fishermen.